Once upon a time a young girl named Marie-Catherine Le Jumel de Barneville prepared for her wedding. If the narrator of a fairy tale would ever care to tell you such a thing (which she most certainly would not), the year was around 1666. 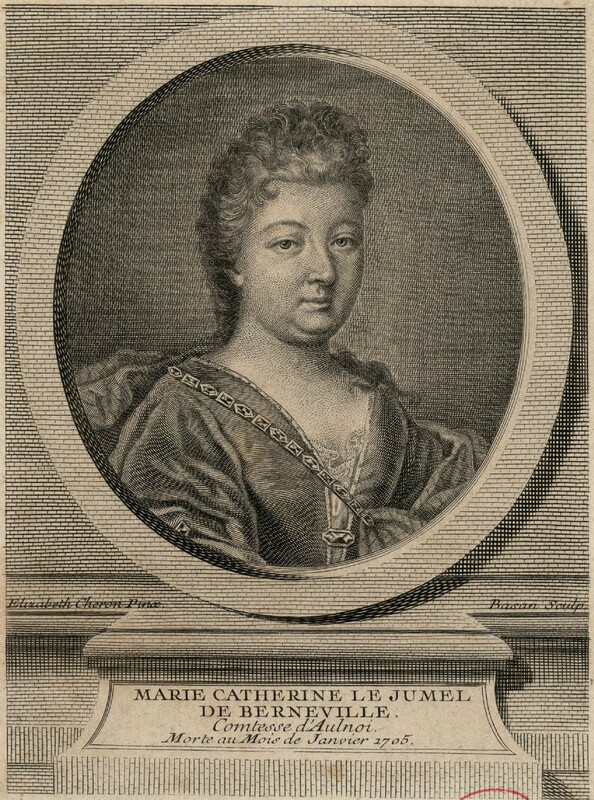 Marie-Catherine was a high-spirited girl of sixteen, from a good family who had arranged for her a splendid match. She would live in Paris and her husband was to be Francois de la Motte, Baron d’Aulnoy, a man thirty years older than she who was said to be a freethinker, a fine gambler, and a quick-tempered dirtbag. I doubt the reader will be much surprised to learn that the new Baroness d’Aulnoy didn’t like her husband very much. But she was a spunky heroine and soon hatched a plot with her mother and two men, one of whom the baroness seemed to like quite a lot. The foursome schemed and soon the baron found himself accused of treason and the baroness was nearly free of him. Still he proved a wily foe, and found a way to clear his name, resulting in the execution of the two men. The baroness and her mother escaped the country with their lives and spent the next twenty years traveling abroad where Marie-Catherine’s true life’s passion began to take shape. When at last she returned to Paris she sat down to write of her adventures. She wrote novels, all well received. She wrote memoirs, in which she made up most of the best parts. And she wrote two collections of what she termed “contes de fees,” or fairy tales. This genre, of course, had existed long before her time, perhaps as long as stories had existed at all. Long enough for whole fields of folklorists to rise up and earn PhD’s by writing volumes on the underlying gender role ideology of each tale and for woefully underqualified history bloggers to dabble poorly in it. But Baroness d’Aulnoy was certainly the first to use the term “fairy tales.” As a successful author and popular hostess for the most interesting residents of Paris, it seems likely the baroness lived happily ever after. Only later did critics get hold of her memoirs and cry foul at her lies exaggerations. As a result, her work was cast aside for many years, leaving the underlying gender role ideologies of fairy tales to be explored by the brothers Grimm. But now she’s back. Her work, and her history (the best parts of which are likely made up) are emerging in the volumes produced by folklorists in pursuit of their PhD’s and I think Baroness d’Aulnoy is once again headed for her happily ever after. 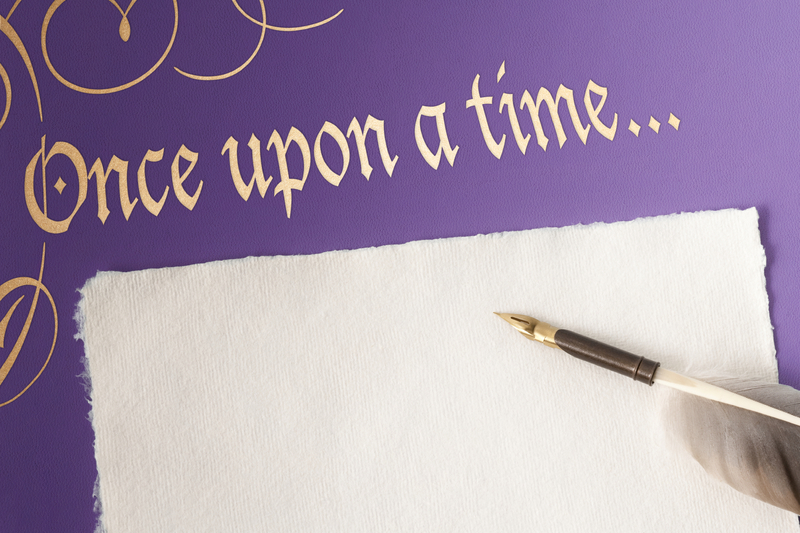 I wish you a very happy National Tell a Fairy Tale Day. It seems fitting that on this day I get to announce the reader who will receive a copy of Cary Elwes’s book As You Wish: Inconceivable Tales from the Making of The Princess Bride, signed by the author, because The Princess Bride is my favorite modern fairy tale. I know I’m not alone in that because so many of you shared stories about how much the film has meant to you, too. Thank you for entering and for sharing the post. I wish I had a book for all of you. The lucky winner is Sarah from Georgia, who knows that true love is the greatest thing in the world, except for a nice MLT- mutton, lettuce, and tomato sandwich, where the mutton is nice and lean and the tomato is ripe, and maybe also a free book.